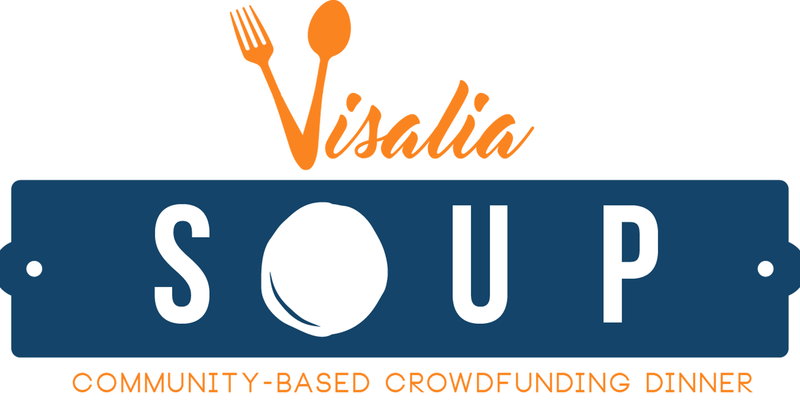 Visalia SOUP is an event to promote community-based development through crowdfunding, creativity, collaboration, democracy, trust and fun. In partnership with other local businesses, the Visalia Chamber of Commerce will host its fourth SOUP event, on April 25, 2019. How does Visalia SOUP work? A minimum donation of $5 gets you entry into the event, soup, bread and a vote. You will hear from four presenters, who have four minutes to describe their idea to the group (no technology allowed), and will answer four questions from the audience. At the event, attendees eat, talk, share resources, enjoy art/music and vote on the project they think is most deserving. At the end of the night, we count the ballots and the winner goes home with all of the money raised to carry out their project. Past winners have included: Central Valley Martial Arts, a martial arts studio who offers classes to kids with special needs and Autism, Hood Outreach Ministry, a group of people who provide outreach, services and resources to the homeless in North Visalia, and FAR Formal Attire Ready, and orgainzation that provides formal clothing to foster kids. Attend this feel-good event and hear some great ideas about ways people are working to improve our community! Doors open at 5:00 PM and the presentations begin at 5:30 PM.